For the past two years, local business leaders have taken to the stage to showcase their comedy chops in aid of Weston Park Hospital’s Cancer Charity, and this year is no exception. Exposed Managing Director (our gaffer!) Phil Turner needs your support this October, as he’s bravely volunteered to perform alongside six other ordinary folk and comedy novices at the charity stand-up gig. The event will take place in front of a 500 strong audience at Sheffield City Hall, and the money raised will go towards Sheffield’s fantastic Weston Park Hospital, supporting the tremendous work they do for those affected by Cancer. Last year’s event was a roaring success, with an impressive total of £15,000 raised by the business leaders’ sponsorship and ticket sales, but this year the organisers are looking to top that with a goal of £17,000. Phil’s doing great so far in his efforts to raise his £1000 sponsorship, but every little helps and it’s a truly worthwhile cause, so get involved folks. You can sponsor Phil here, and learn more about the important work that the Weston Park Hospital Cancer Charity does here. 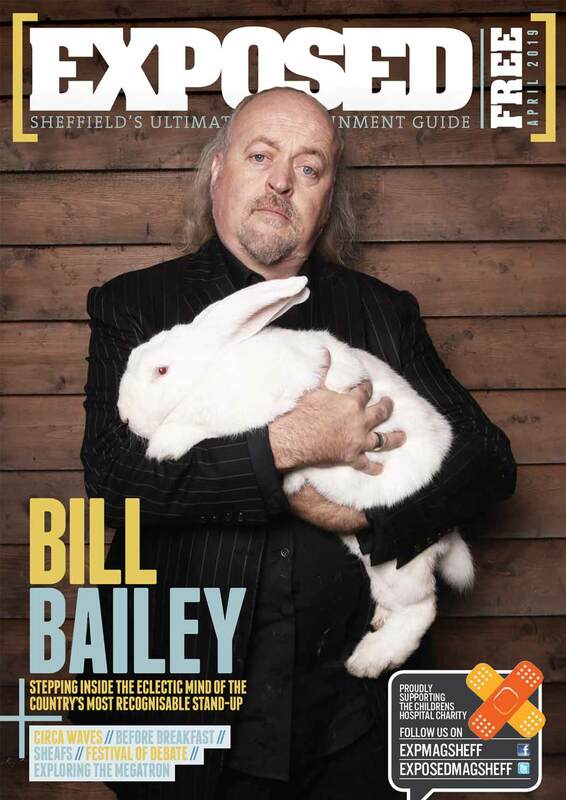 Funny Business takes place on October 7 at Sheffield City Hall. Tickets are £20 each and can be purchased online at www.funnybusinesssheffield.org.uk, by calling the charity office on 0114 226 5370 and some will be available on the door.